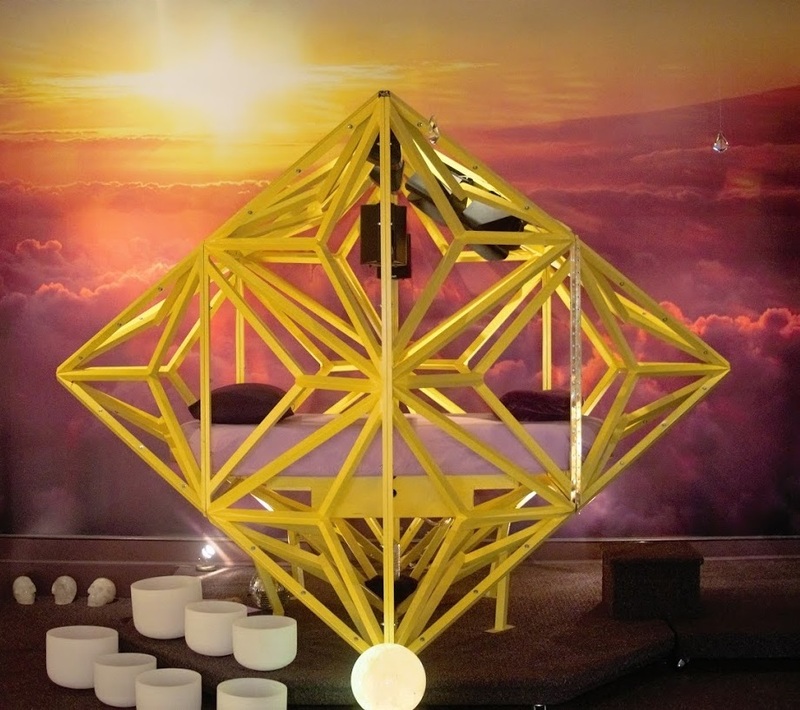 The Inner-Dimensional Sound Chamber is a blending of science and metaphysics through vibrational technology. It provides a low level oscillating energy field which assists with the restoration of cellular integrity. The sound chamber honors the body's natural geometric ability to heal itself at the cellular level. 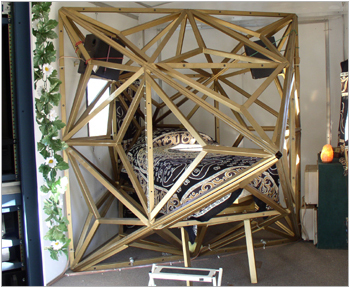 It sends specialized music or sound through the structure creating interference patterns. Through vibrational technology, there is an extreme activation of tissue regeneration. The capacity for tissue regeneration extends to the central nervous system and the brain and to healing organs, muscles, and bones. Sound creates form. In sound therapy, specifically directed tone can change the molecular structure within tissues. All vibrations--from subtle to obvious--have specific effects on us emotionally and physically. These effects are still largely unknown. The word "sound" can be used to refer to "wholeness" or "vibration." When music or specialized sound in the form of brain wave patterns are played through the hollow structure, there is an additional benefit based on vibrational technology. Research on the physics of sound suggests that sound organizes form. Through interference patterns, it can cancel or enhance vibrational patterns naturally occurring in the body. Harmonic resonance is the way in which cells retain memory.